If you have dry and peeling nails, there are few things you can do to get them back into good health. These hacks could be your ticket to better nails. Cuticles can dry out from repetitive hand washing and manicures, so if you are not give to them extra protection with a nourishing cuticle cream, they will crack and split, increasing risk of nail infection.A soothing cuticle cream helps nourish dry cuticles and brittle, damaged nails with vitamin E. Massage the cream into and around your nails nightly before going to bed. If you overuse your nails to do all of obligations at home the result will come quickly-damaged and peeling nails.Instead, use a pen or other object rather than your fingernails to do these everyday tasks. When doing the dishes, cleaning and gardening, wear gloves. Detergents and cleansers are harsh on your fingernails, causing drying, spitting and peeling. Soil and gardening can also cause damage to your nails. One of the most proven products in this industry is ARGANRain 100% Pure Certified Argan Oil-tottaly natural and dermatologically tested.For weak, thin nails, soak them in Pure Argan Oil 10-15 minutes a day for a month, then twice a week thereafter. This inexpensive home beauty treatment will help fortify damaged, weak or peeling nails and your nails will be grateful to you. 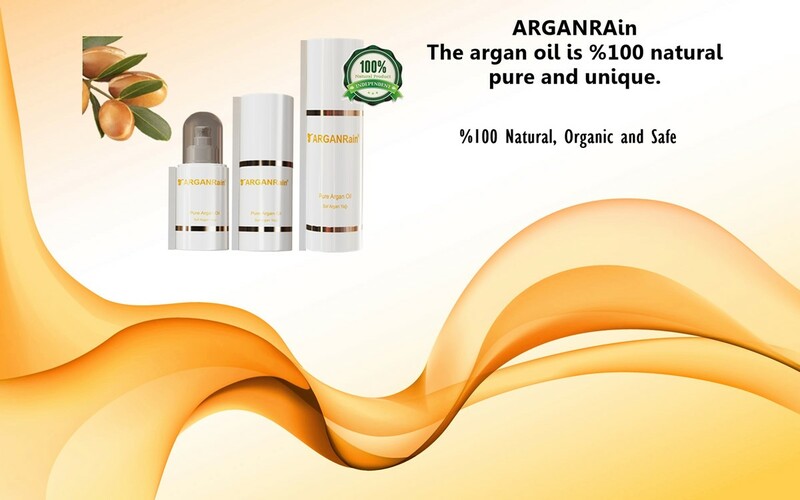 ARGANRAIN %100 PURE ARGAN OIL!